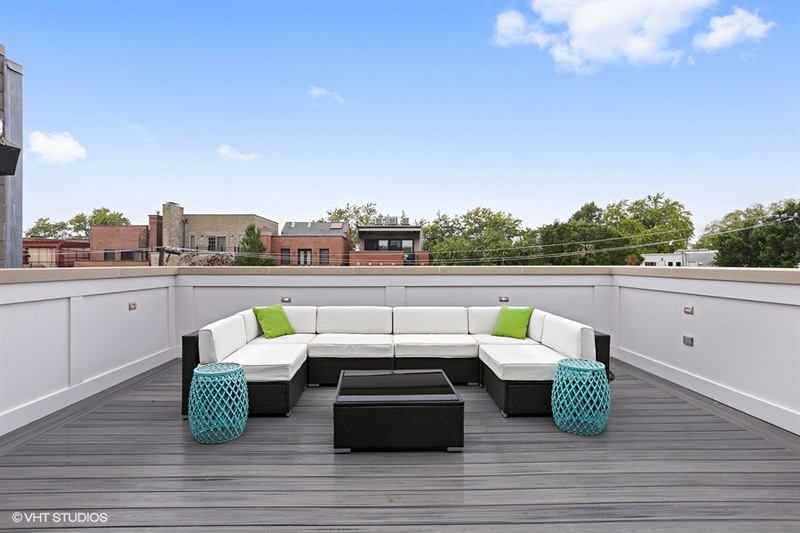 If you are looking for new-construction luxury in the heart of Lincoln Park, then your search is over! This brand new Platinum Homes brick and limestone stunner is set on beautiful tree-lined Magnolia, within close proximity to all that Lincoln Park has to offer. I think what I love most about this home is just how open the floor plan, and each individual room feel. High ceilings are balanced out with the warmth of intricate millwork, 4-inch right sawn wide oak hardwood flooring, and high-end finishes in every area. 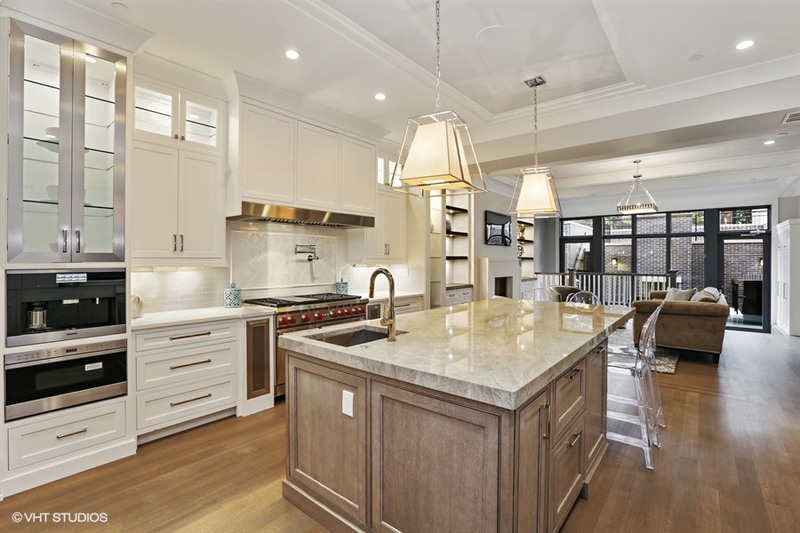 The custom chef's kitchen especially combines so many of my favorite features: a huge Quartzite island with barstool overhang, gorgeous in-cabinet lighting, and a great floor plan for cooking and entertaining. The segue to the adjoining family room is seamless and beautiful, and topped only by the first floor mudroom--so convenient! The master suite is truly spectacular! Start with a view of the patio and two walk-in closets. 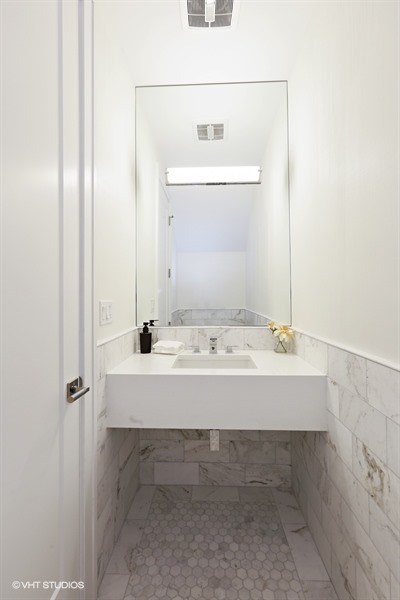 Next head to the stunning master bath featuring a double vanity plus make up area, steam sower, air tub, and separate commode. Upstairs find the perfect spot for entertaining, complete with wet bar, covered loggia with gas fireplace and roof deck (amazing city views! ), guest bedroom, and hall bath. Not to be outdone, the lower level recreation room features beautiful two-tone built in cabinetry, a second wet bar, and stunning temperature-controlled wine cellar. The raised rear patio is a little oasis onto itself with a built-in grill station, refrigerator, and wood burning fireplace. Control the lighting throughout the home with the Smartphone Lutron lighting system.